Trees, shrubs, lawns, groundcovers, annuals, and perennials. Walls, walks, patios, driveways, and fencing. Weed and Leaf Removal, fertilization, and bed edging and mulching. Protecting plant material against the cold. 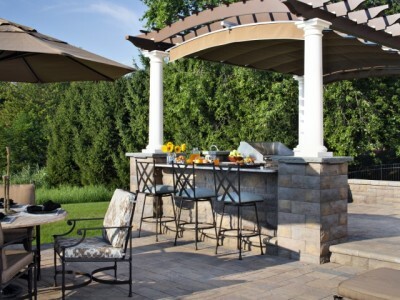 Faddegon’s can service all of your outdoor design needs. 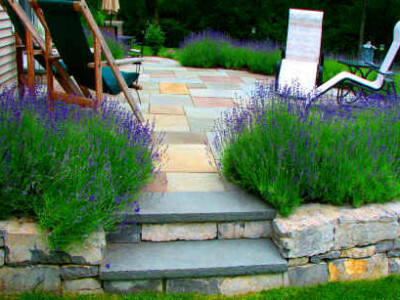 Our landscape designers incorporate all the aspects you desire into one comprehensive plan, including driveway layout; pool placement; decks; fencing; outdoor lighting; patios and walks done in brick, bluestone, or custom pavers; and decorative and retaining walls done in bluestone, limestone, or segmental wall block. Faddegon’s also takes care of any major grading and clearing that is necessary. One of the clear advantages of working with Faddegon’s is that we can also serve as a single point of contact in making this plan a reality. The estimate we provide for you can include one price for the entire project, and we will handle the coordination of any necessary subcontractors to get the project completed. Faddegon’s works with a few select subcontractors, who help us out with services such as paving, masonry, sprinkler systems, and fencing. We have a close relationship with all of our subcontractors, and therefore can ensure the quality of their work meets our standards.